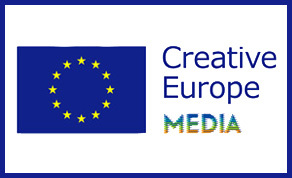 Creative Europe has announced the latest funding deadline for TV Programming as December 18th, 2018. Proposals must be submitted not later than 11.00am Irish / GMT time using the online application form (eForm) on the published deadline. No other method of submission of an application will be accepted. Applicants must ensure that all the documents requested and mentioned in the eForms are provided. Please note that there is no paper package to be mailed anymore. All contracts must be attached to the application form. Please note that there is a new format - MEDIA Calls are now presented in one portal with Guidelines divided into two main parts: Part A gives general information about the objectives, priorities, criteria and general rules applicable to all calls for proposals. Part B provides information and criteria per specific call for proposals. eForms for the published calls are not yet available. They should be available early in the week beginning 22 October, 2018. Guidelines and documents relating to TV Programming Support Scheme can be found here. Please note that there is a new format - MEDIA Calls are now presented in one portal with Guidelines divided into two main parts: Part A gives general information about the objectives, priorities, criteria and general rules applicable to all calls for proposals. Part B provides information and criteria per specific call for proposals. eForms for the published calls are not yet available. They should be available early in the week beginning 22 October, 2018. Have a look at the Current Projects and Funded Projects page if you would like to get an idea of the kind of projects that have been funded under various schemes. For more information contact Creative Europe Desk Ireland.